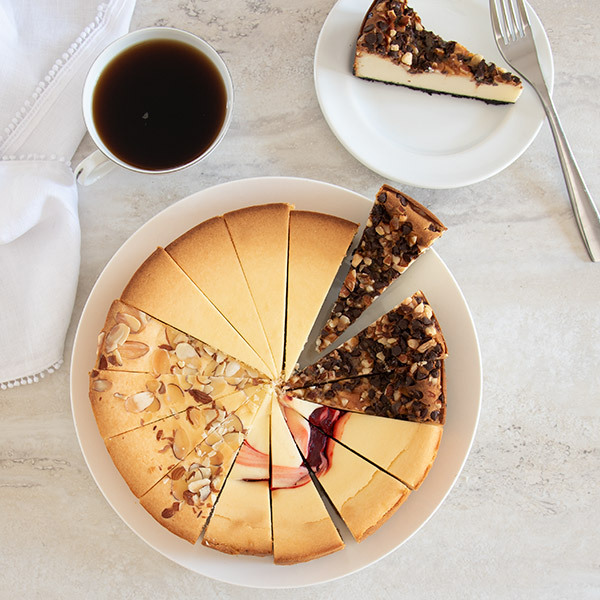 Taste why our Gourmet Cheesecake Sampler is our best selling baked goods gift! 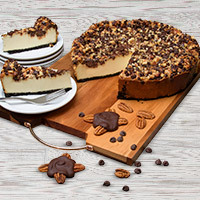 This 9", 60 ounce decadent dessert has 16 slices of heaven: 4 each of our most popular cheesecake flavors including the classic New York, fruity Strawberry swirl, nutty Amaretto, and rich chocolaty Turtle. 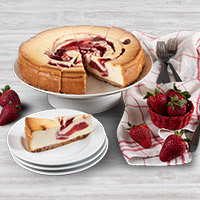 This indulgent gourmet cheesecake gift is perfect for anyone, including yourself! 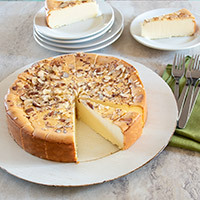 I had a cheesecake sent to my daughter-in law and learned after it was delivered that she and my son loved it. I have used this company to deliver birthday cakes before and they are always delighted. 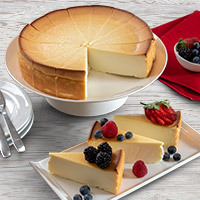 I bought the Gourmet Cheesecake sampler as a gift to send. The recipients were surprised and very happy with my gift. They both like cheesecake and the sampler was perfect. They got to enjoy 4 different flavors. They loved all the flavors, commenting, it was a very good tasting cheesecake. p.s. after I placed my order, I received an e-mail letting me know my order was placed. Then another e-mail came letting me know it was shipped and a tracking # so I could easily follow the tracking. All went so smooth. I would order from this place again. I was also pleased with the price. Plus they gave me a promo code so I could get a discount on the cheesecake. Doesn't get better than that. My wife along with myself enjoyed the great fresh cheesecake and will order again on next holiday. Excellent cheesecake. Everyone who tasted it said it was delicious. The client we sent it to said it was the best cheesecake she and her husband had ever had!! I ordered a present for my mom and she was so impressed that she wanted to know where I got it. The food is delicious and delivered on time. Everything is fresh and on point!! So glad I know about this website!!! I've purchased gifts several times and have been consistently extremely satisfied. The customer service is wonderful and the gifts are always a hit. It was a gift, and I was told it was wonderful and everyone raved about it. It was also delivered on time ! Ordered this for our appreciated inter-company customers! They loved it! Fast service, good quality, and good eats! This was the best tasting cheesecake I have ever had! Sent this cheese cake as a gift in appreciation for all she has done and it was delicious and very tasty with all the different flavors.